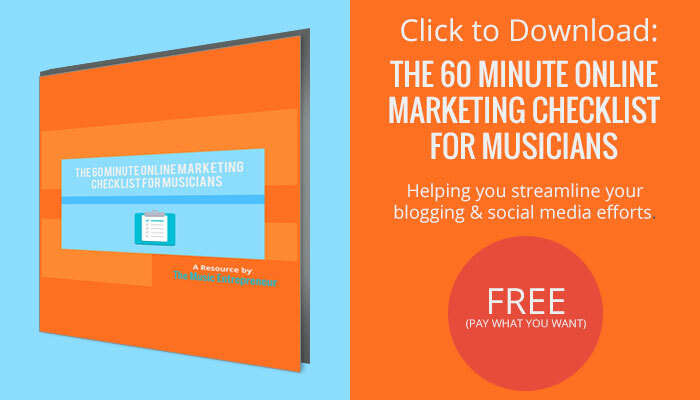 I’m sure most artists have heard about the effectiveness of social media marketing. Facebook and Twitter have fast become a vital part of a band’s marketing plan, as opposed to a peripheral effort. However, I see a lot of bands and artists making the same mistakes that could be easily avoided with a few simple tweaks. For as long as I can remember, descriptions have always been important on the web. When Yahoo! was still widely used in place of Google, many people used the website descriptions to help them find the information they were looking for. Why? Because while it was easy to find a listing of websites in any category, people would scan the descriptions to find the site that would best match their needs and end goals. Leaving the description blank – think about this for a second. If I was a promoter looking for a band, it’s quite possible that I would overlook or completely miss a band that doesn’t have a description. Why? Because it’s not obvious that you are a band. “But, we have a picture.” Have you ever noticed how small those pictures appear on Twitter (especially when you’re searching)? A bunch of people standing around without instruments could be anything. Use your description. Put “band”, “musician”, “singer/songwriter” or other appropriately descriptive terms in there. Even musical genres are fair game and would be better than nothing. Posting too many links in your description – I could be wrong, but you have a presence on Twitter so you can connect with people on Twitter, right? Then why would you overwhelm people with a bunch of links leading to your Facebook, ReverbNation, and Bandcamp pages? It makes it look like your profit and benefit are the only things you’re interested in. It makes it look like you’d rather have people engaged with you in other ways besides Twitter. The only link that you should be placing priority on is your own dot com band site. “But we don’t have one.” Then you’re doing this all wrong. How do you know that Facebook, ReverbNation, and Bandcamp are all going to be around tomorrow? Your social media efforts should be flowing out of your own website. Besides, if you want to direct people to your Facebook page, there are more strategic ways of doing that (connecting your Facebook page to your Twitter account and posting from Facebook for example – that way when people click through on the link, they will be brought to your Facebook page). Trying to be too clever – it’s good to have fun on Twitter, and I hope you do. However, you would be surprised by how many bands try to be altogether too clever with their description without ever using a word or sentence pertaining to music. It’s great to try and create a description that is unique and engaging, but please remember that you are a band or a musician and you are trying to make people aware of the fact that you play music. Use musical terms. If I’m skimming through Twitter accounts, I’m not looking for the cleverest description. I’m looking for the most apt description for you, your brand, and your music. This is a relatively simple thing to do, and yet, I’m amazed by how many bands and artists don’t add any kind of value to anyone. As artists and musicians we are observers and interpreters of culture and life, are we not? Then let’s correctly interpret culture and life! Advising other people to “check us out” when you have done nothing for them – I think this one speaks for itself. Look, we’re all guilty of this, and, certainly don’t underestimate the power of telling people to do what you want them to do directly. However, it’s best to connect and meet with people where they are at. Add some value, and they won’t have to be convinced to check you out. They will check you out because you made their day! This is a quid pro quo world. You scratch my back and I’ll scratch yours. You’re missing some great opportunities if all you’re doing is sending out a message that says “check us out over here on Facebook” every time someone follows you. Learn about their efforts, and see if you can add value to them in any way. Send them an article. Join their free service. Subscribe to their podcast and actually listen to it. Use social media to engage and connect. Being too self-focused – again, this is not a revolutionary concept. Social media is about connecting and engaging with groups, communities, organization, and people. If you’re not interested in what others do, why is anyone going to show any interest in what you do? Think about how you can add value to the community you are connected with. Make them laugh. Make them think. Make it urgent. Make it compelling. Finally, let’s end with Zig Ziglar’s immortal words: Help enough other people get what they want, and you can have anything you want.